Don’t Have a 3D Design Yet? Do you have an idea/picture you want to print, but no 3D design ? 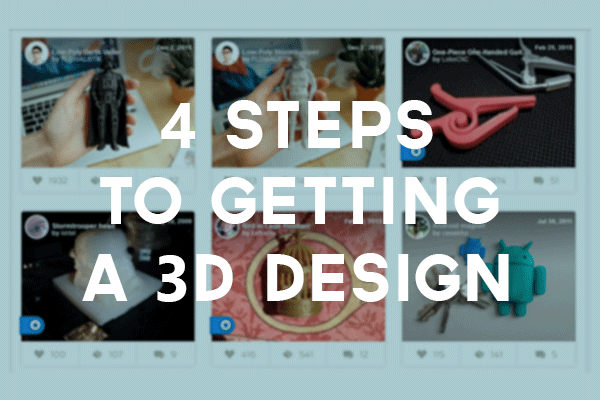 Don’t know how to make your own 3D design ? Maybe it’s in the marketplace? Go check out our article on how to find 3D designs on different marketplaces online! Or get one of our designers to make the 3D design for you! If you can’t find an item similar to what you had in mind in the marketplace, you can have one of our designers make a 3D design for you! Send us an email at info@shapecloud.ph with details about your idea (sketches, dimensions, pictures, etc.) and we’ll get back to you with a quotation in no time!